Greetings Ayden, NC resident. Are you looking to have professional power washing / pressure washing & roof cleaning services done on your property? I would be honored if you would consider my company, Intercoastal Exteriors for your upcoming project(s) in Ayden NC. We offer the following services which are sure to make your neighbors jealous and impress your friends and family. 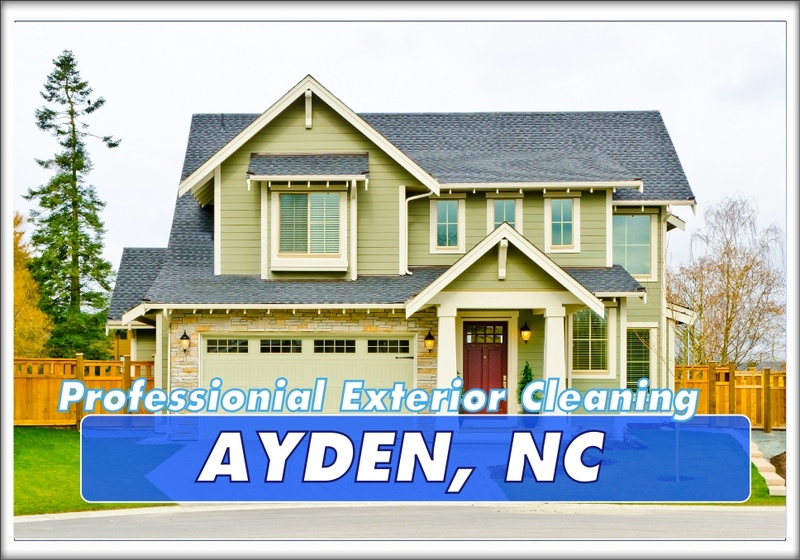 Low Pressure House Washing, Non Pressure Roof Cleaning, Power Washing, Concrete and Hard Surface Cleaning, Commercial Pressure Washing, Wood Cleaning and Restoration and much more in Ayden, NC. We are fully licensed and Insurance that only operates with professional equipment, great customer service and back all of our work with a total satisfaction guarantee. The Driveway and Concrete Cleaning is a powerful, concentrated formula that cleans hard-to-remove dirt, oil and other stains from your driveway or concrete. Pressure washing or power washing is a great way to get rid of the built in dirt and grime on your concrete driveway. Before pressure washing or power washing, use a heavy degreaser to remove any stains. 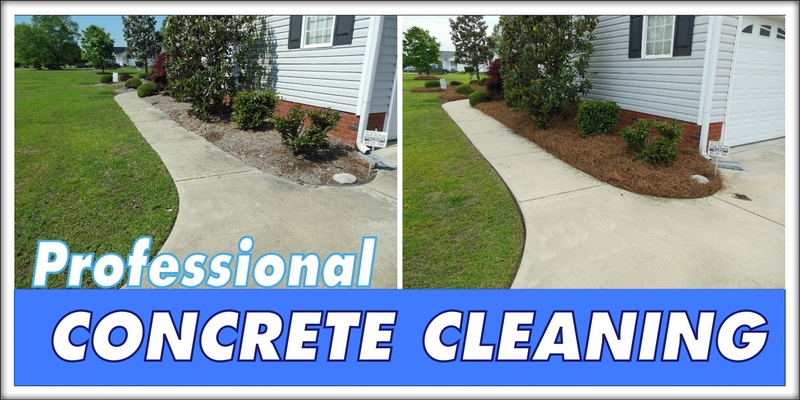 Call Intercoastal Exteriors in Ayden NC to clean and seal your concrete driveway, walkway or patio with our expert power washing. Decks and wood surrounding your home have a huge impact on presence of your home to your neighbors and visitors. 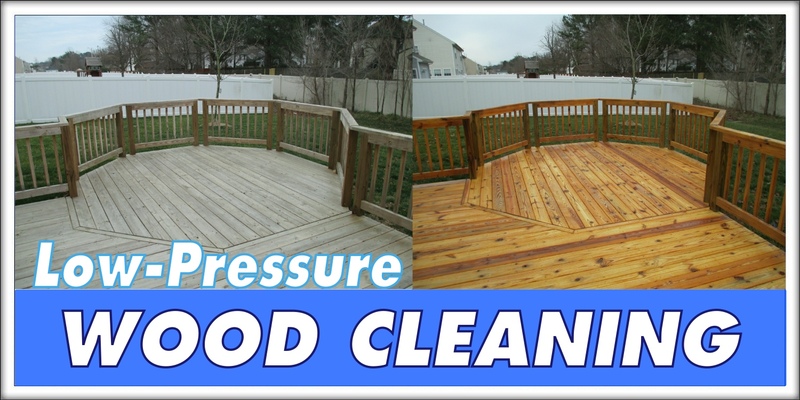 Pressure washing or power washing a deck or fence is much more manageable and efficient than scrubbing by hand. We can safely clean decks and other wood structures on your property with out damage to increase the beauty and make the surface safe to walk on. Mold and mildew make for a dangerous situation by making the surface slick and prone to an accident. Not to mention these stains just hurt the value and appeal of your home. We custom make our soaps and cleaning agents for each project to insure we are cleaning the wood surrounding your home to best opportunity for a more natural. Intercoastal Exteriors of Ayden NC provides house power washing or pressure washing including decks, roofs & more.